A very poetic pendant... Developed by the Chinese studio Neri&Hu, the Nh light gives pride of place to oriental culture and tradition while maintaining a contemporary approach. 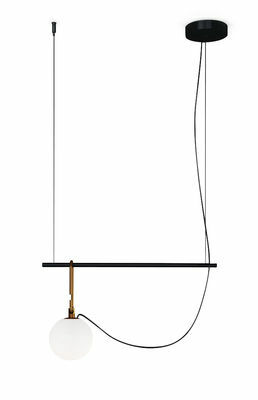 This light and airy pendant is made up of an elegant black metal horizontal structure on which a white blown glass diffuser is hung. 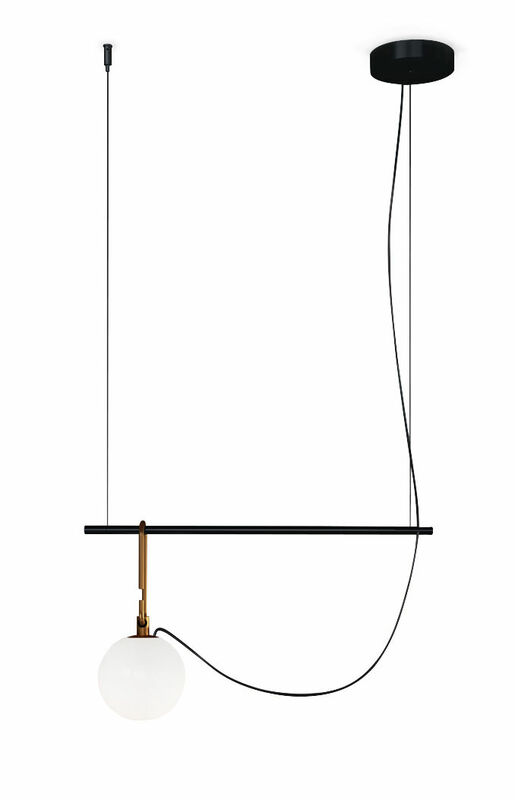 This light sphere is hung with a brushed brass wall hook which allows it to slide along the structure. As such, you can direct the light very easily in order to create different kinds of lighting. Thanks to its low consumption retrofit LED source, Nh benefits from a responsible design and gives off a gentle and diffuse light. What's more, the choice of materials creates a superb combination between tradition and innovation which will go wonderfully in each of your rooms. 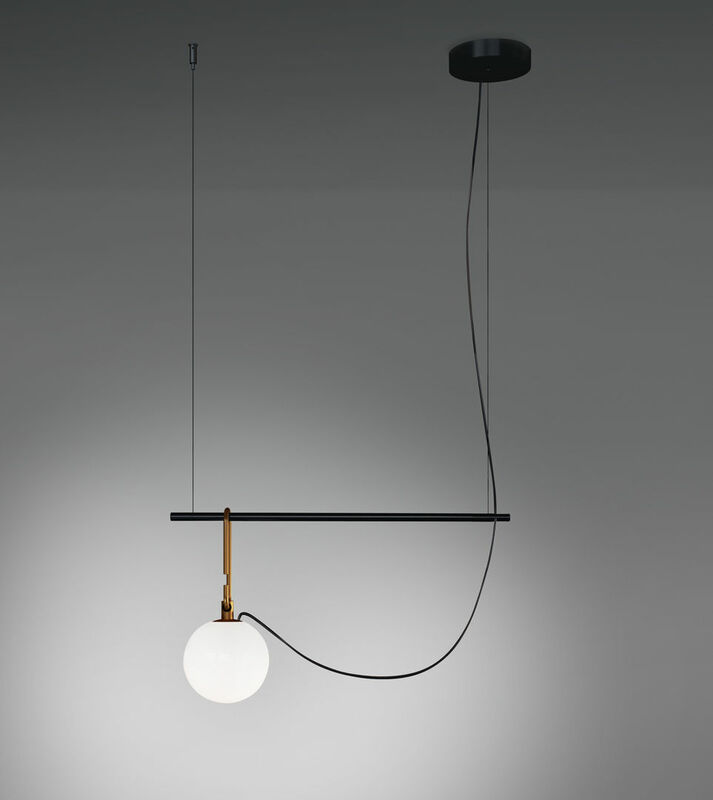 In order to create different compositions and coordinate your light sources, the Nh light is also offered in ceiling light (with a bigger diffuser or with three bases and diffusers), table lamp and wall light versions.